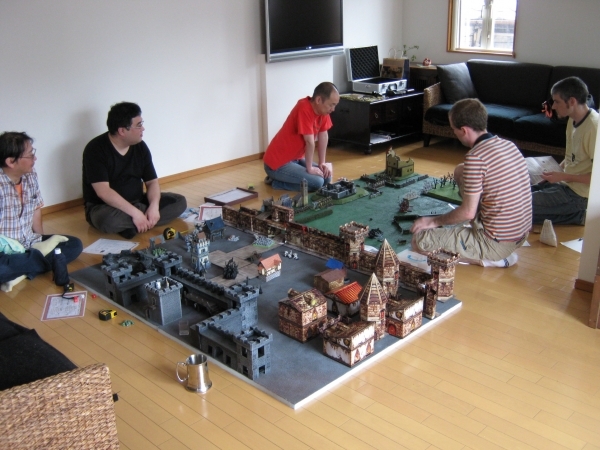 Why would anyone want to bother magnetising their models? 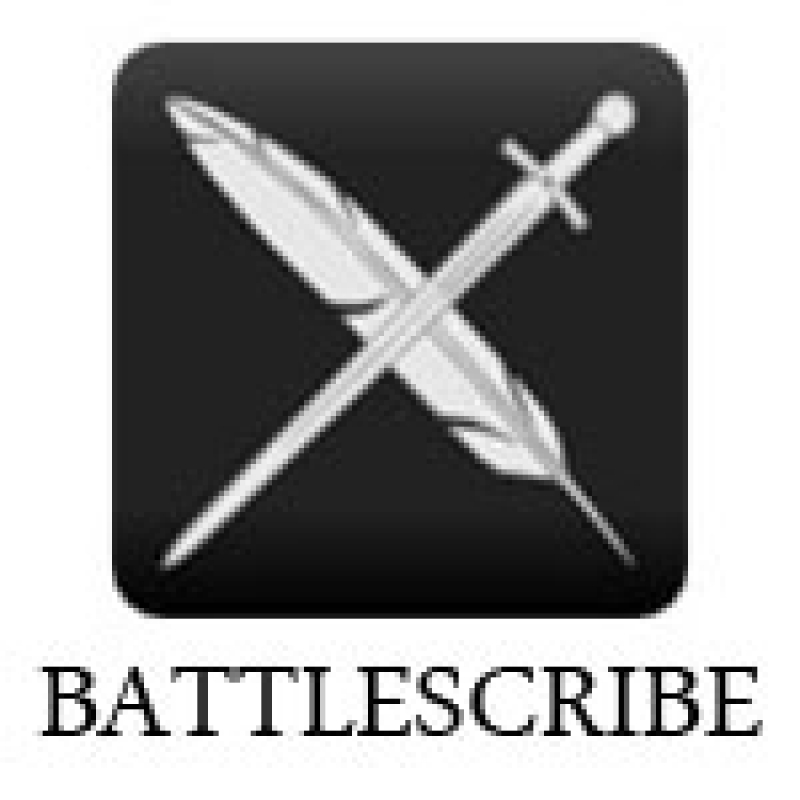 There are plenty of good reasons - better stability on movement trays, easier transport of armies, easier grip for painting, weapon swaps, and special effects. Still don't believe me? Skip down to the bottom for some examples. 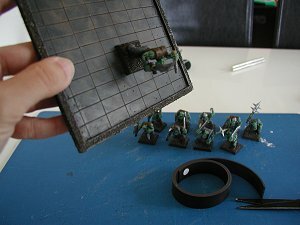 Cut and stick a section of magnetic sheet to your movement tray. 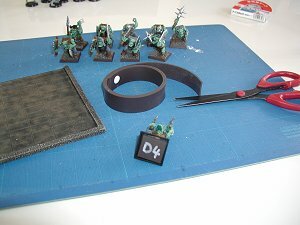 Then simply cut the magnetised rubber strip into squares, and use the double-sided tape to stick it to the base of your models. Before you stick the magnet square to the base of each model, check the polarity first - you'll find it stronger left-right or front-back, but not both. Easy, yes? Does it work? Well, the strip used in the photos is 2mm thick (19mm wide), which gives a pull of only 0.37kg. 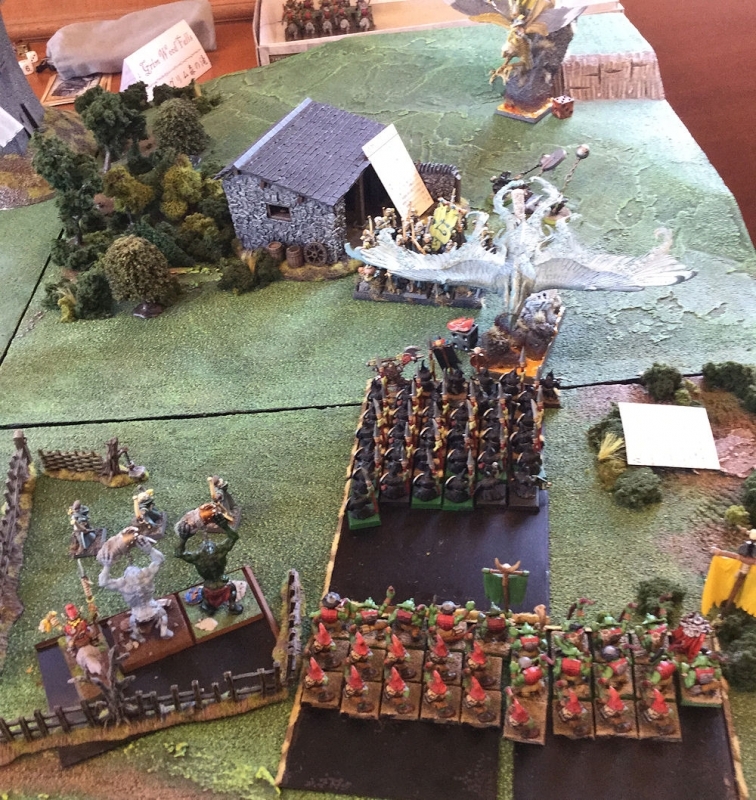 That means that models will stick to the movement tray enough to nottople over or slide on hills, you can't turn a tray upside down and expect models to stay locked in place. But it's easy to buy the materials, and quick to do. 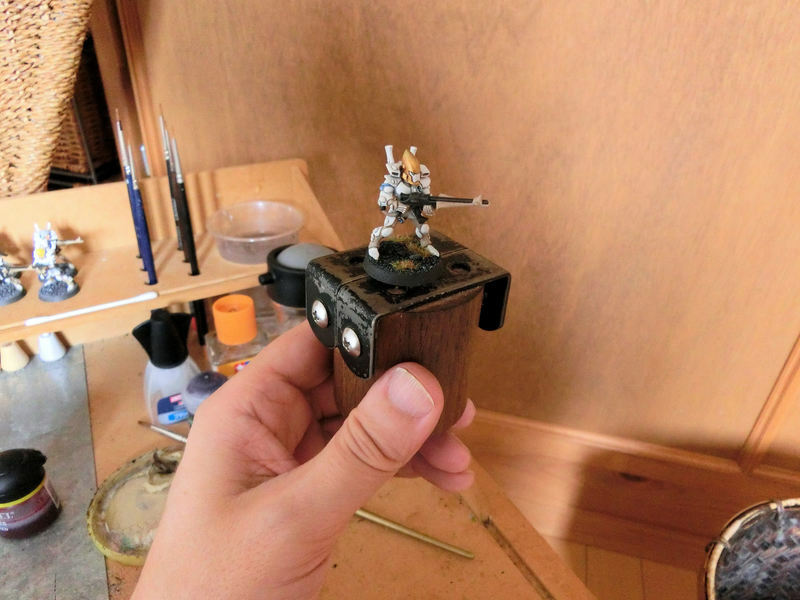 While Method #1 works well for plastic models on 25mm square bases, it's not so useful for models on smaller bases, or models with insert tabs. 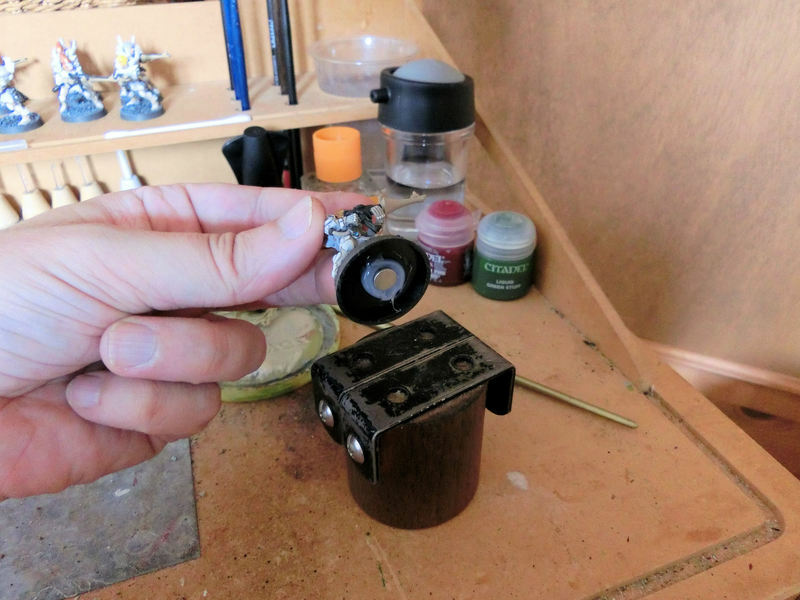 Round bases are also problematic, and heavy metal models don't stick quite so well. While I have seen rare earth magnets in Gooday, they are packaged in boxes of 5, at about 200 yen EACH! So your best bet is to try overseas. I got mine on Ebay, at about 21 USD for 250 magnets. 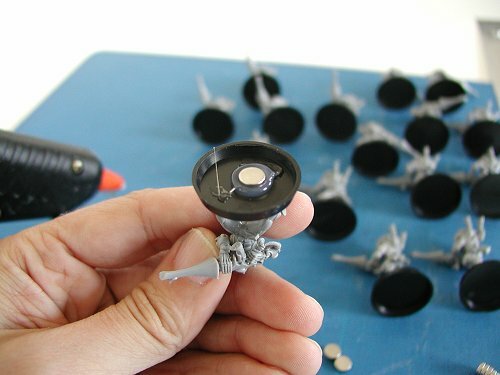 Beppu's Ring-tail.com also sells them, so you can get them when ordering miniatures! Getting hold of the materials and magnets was the hard part - now comes the easy part. 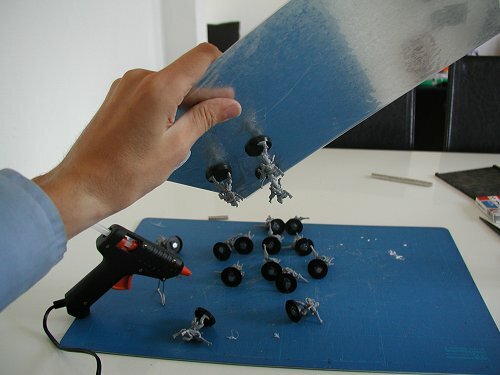 Simply add a blob of hot glue to the base and carefully push in a magnet. Make sure it's flush with the rim of the base, so the model doesn't wobble. Should take about 30 seconds a model. If you're cutting the sheet metal for movement trays, wear gloves - those edges are sharp! Wow! Each magnet apparently has about 1.8kg of pull on it, which means that you can clip them to the metal sheet and wave it around quite safely. One magnet will quite happily hold a large plastic model in place, but two might be better for metal dragon ogres. 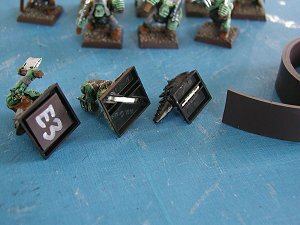 If your models have rare earth magnets attached, there is no way they will EVER fall off your movement trays! 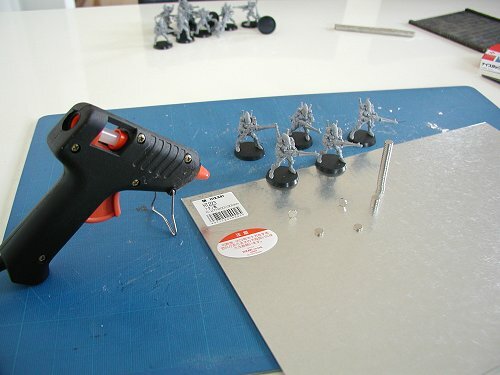 An excellent way to secure your models during painting. Simply screw a large steel screw into a lump of wood, and you're done. Try and make the head of the screw flush with the surface of the wood, to eliminate any wobble. I've used a long strip of metal on my painting blocks (remnants of an earlier project). 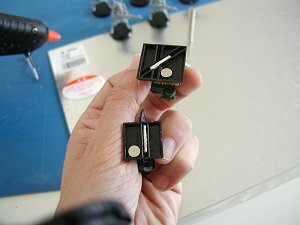 Use some strong double-sided tape (or a glue gun?) 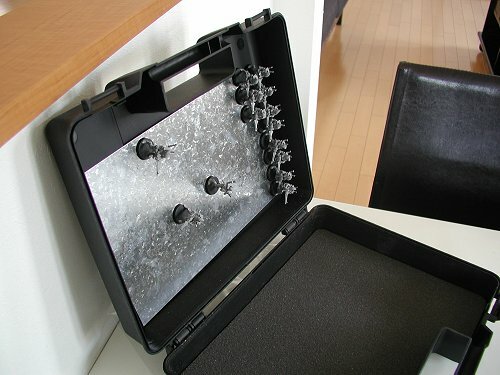 to stick a large sheet of the steel sheeting in your army box, and everything will click safely into place. Probably don't even need foam! 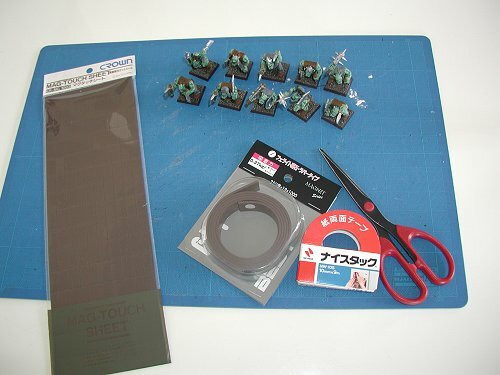 The rare earth magnets also produce a magnetic field above the base of your model, so you have a 'sweet spot' on each model to which you could quickly attach wound markers. 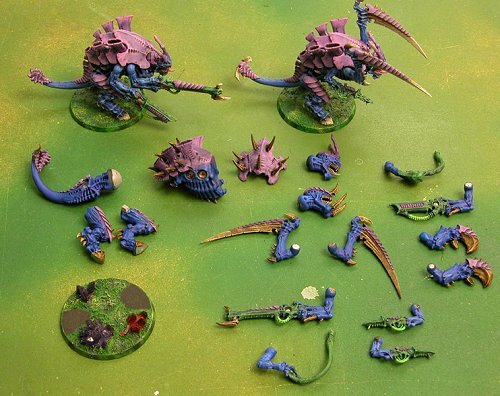 As long as you can find spare bitz large enough (or magnets small enough), you could mount magnets to the bottom of skulls, or create some spell effects - fuzzy green wibbly things for 'remains-in-play' markers, or even animosity. 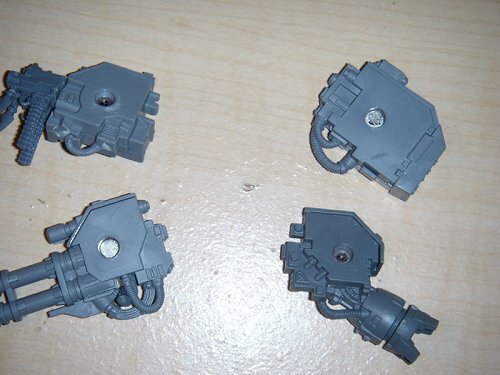 If you change your tank armaments between games, you can quickly attach magnets to the major joints, and swap weapons. 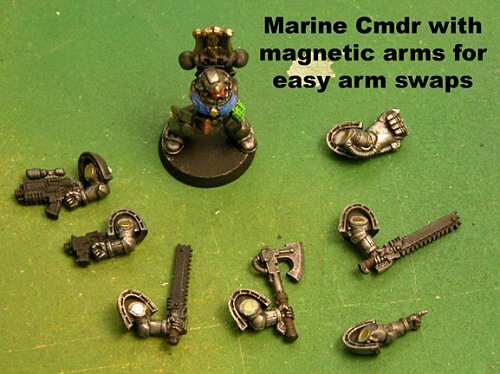 A quick search of the internet (sorry, can't remember the site URLs) turnd up these images of Space Marine Dreadnoughts with interchangeable arms, Tyranid Carnifex with interchangeable everything, and even tinier magnets used to swap the arms of a Space Marine Commander. NB. Polarity is important if you're using two magnets together!